A great mobile app manages you (not the other way around)! This is part 2 of our series on great mobile apps. Missed part 1? Read it here. To get ROI from a mobile app, marketers need to not only get people to download the app, but get users to make it part of their daily lives. The first step is building an app that has a clear value proposition to users in a moment. The next step is designing the app to notice these moments and remind users when it can help them out. Unlike other media, mobile messaging (push notifications and in-app messages) allows marketers to proactively reach consumers at specific times and places. A push notification pops up on the user’s home screen, which can link to any kind of content in an in-app message (image, video, poll etc. ), or a page within the app. Like the app itself, messages should be focused on helping users get what they want. In part 1, we discussed how successful apps deliver value in a specific moment. But an app also needs to anticipate a user’s needs and alert the user when the app needs them. Apps built with engagement in mind will use messaging as a core part of the experience, drawing the user back time and again. Social interaction. More than anything else, we love knowing what our friends are doing. Messages based on social activity can be particularly effective. Instagram and Venmo make use of this by notifying you when a friend joins the service. Turn-based casual games achieve high engagement because they notify you every time your friend completes their turn. This idea can be extended to drive competition by notifying when a friend does more of anything than you. Task completion. Commonly found within casual games, timed tasks encourage users to start a process, then leave the app and return later. This mechanic creates an opportunity for the game to re-engage you. Popular mobile game Candy Crush Saga gives users five free lives to pass each level, which regenerate one by one every 30 minutes. Once lives are restored, the game sends a notification to draw players back into the app. Appointments. Any mechanic that requires a user to engage with the app at a particular time can be thought of as an appointment. Groupon, Gilt, and many other online retailers drive engagement by having daily or weekly sales. By offering additional value at a particular time, the app earns the right to message users. Retailers could make more use of this by offering extra discounts/coins/loyalty points for engaging with the app at certain times. Location awareness. One of the most unique features of a smartphone is its continual awareness of a user’s location. Our needs vary by location – what we want to use our phone to do changes based on where we are. Great apps capitalize on this by using location-sensitive alerts. Foursquare, for example, messages users popular things to do when they enter a new neighborhood. And retailers are starting to use iBeacons for more granular location awareness – prompting app opens when a user enters their store. For publishers, knowing a user’s location can provide a huge benefit – consider a travel app that notices you’re in a new city and offers a discounted download of the relevant guide. We’ve said that the best apps surface when the user needs it, rather than when a marketer wants to get attention. To achieve this, messaging needs to be a core part of your app – something that you consider when you’re designing the app, not as an afterthought. Use messaging to on-board users, explain new features, deliver savings, and drive to other channels. Just make sure your messages don’t become stale, and continue to provide value that’s timely and relevant – messages that don’t help the user, quickly become spam! Looking for more messaging ideas? We’ve got 11 tips for you here! 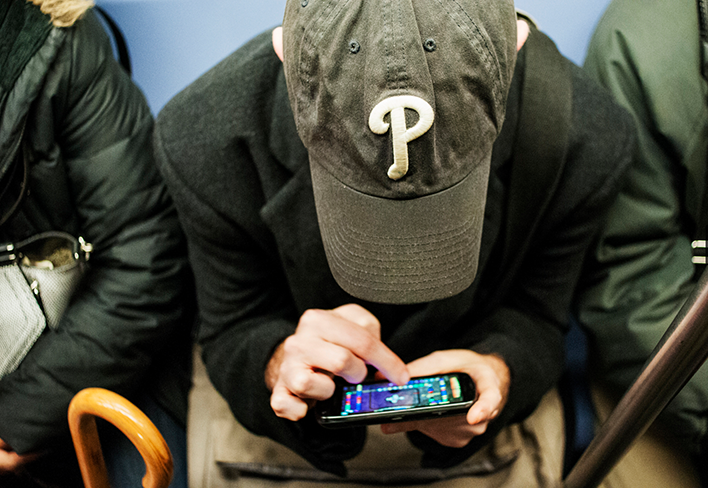 Have questions or looking to engage your mobile audience? Contact us!  Archived in Best Practices and tagged Mobile Messaging, Mobile strategy. Bookmark the permalink.